For General 133 posts and for Schedule Caste- 73 posts and for BCA- 37 and BCB -29,for PHC-05 and for ESM-50 Posts. Society for Centralized Recruitment of Staff in Subordinate Courts (SSSC) invites online applications for recruitment of Clerks for Subordinate Courts of Haryana under advertisement No.19C/SSSC/HR/2016 dated 24.12.2016.The starting date of online application is 26.12.2016 and the last date for online application for Step-1 is 23.01.2017 and last date for Step-2 registration is 27.01.2017.The last date for editing of applications is 27.01.2017. Pay Scale : As per Govt. of Haryana rules. Age as on 01.01.2016 : General 18-42 Years,SC 18-47,In Service Employees 18-45. Qualification : Passed Degree of Bachelor of Arts or Bachelor of Science + Computer knowledge.Passed matriculation with Hindi as one of the subject. Qualification-Bachelor of Veterinary Science & Animal Husbandry. Contact basis Job-These jobs are purely on contract basis for a period of one year or till the posts are filled by candidates selected by Haryana Public Service Commission,whichever is earlier.All of these recruitments are based under Outsourcing Policy of Govt. of Haryana. Write on the top of envelope-Application for the post of Veterinary Surgeon on contract basis. Document required with application form-Attested copies of educational qualifications + A self addressed and stamped envelope. Qualification-MBA/Post Graduate in Human Resources Management and minimum 5 years Post qualification experience.Age-Not more than 55 years. Qualification-MBA/Post Graduate in Business Management in Human Resources and minimum 2 years Post qualification experience.Age-Not more than 55 years. Qualification-Graduate with Diploma in Secretarial Assistance or Post Graduate Diploma in Computer Application and minimum 2-3 years experience.Age-Not more than 60 years. Consolidated remuneration-10860 rupees per month. Age as on 01.01.2017- 21 to 35 years. Pay Scale-Rs 5200-20200 + Grade Pay Rs 2400 and other allowances. Educational qualification-Intermediate Science + Experience of conducting practical in Physics Lab and in a residential school. Contraual Salary-Rs 19000/- per month.Contract Period.The period of contract is maximum 11 months. Educational qualification- Higher Secondary with a Degree or Diploma in Music. Age as on 01.01.2017-18 to 50 years. Contraual Salary-Rs 19000/- per month.The period of contract is maximum 11 months. Educational qualification and Experience- Secondary + Heavy Motor Vehicle Driving License + Five years experience. For UR-106,for SC-21,for ST-13 and for OBC-28 Posts. Qualifcation-University Degree or its equivalent.Additional desirable qualification- Diploma in Rail Transport Management from the Institute of Rail Transport. For UR-66,for SC-16, for ST-06 and for OBC-14 Posts. Registered Office-First Floor, No.8, Mayor Sathyamurthy Road,FSD, Egmore Complex of Food Corporation of India,Chetpet, Chennai-600031,Tamil Nadu. Qualification-Degree in Mechanical Engineering /AMIE in Mechanical Engineering with 60% marks for UR/OBC & 50% marks for SC/ST candidates. Qualification-Degree in Electrical/Electrical & Electronics Engineering/AMIE in Electrical / Electrical & Electronics Engineering with 60% marks for UR/OBC candidates & 50% marks for SC/ST candidates. Qualification- Electronics & Communication Engineering/AMIE in Electronics & Communication Engineering with 60% marks for UR/OBC candidates & 50% marks for SC candidates. 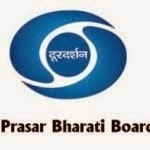 For Visual Handicapped-11,for Hearing Handicapped-11 and for Orthopedic Handicapped-11 Posts.Prasar Bharati reserves the right to fill up all the posts or cancel the whole process of recruitment without assigning any reason. Pay Scale-Rs.5200-20200/- + Grade Pay Rs.1800/- (Pre-revised) Group ‘C’. Distribution of vacancies-One each post at following Doordarshan Kendra-Delhi,Silchar,Lucknow,Chandigarh, Jaipur,Jalandhar,Raipur,Shimla,Bhopal,Jammu,Patna ,Srinagar,Bhawanipatna,Thiruvananthapuram,Sambalpur ,Chennai,Kolkata,Bengaluru,Ranchi,Hyderabad,Guwahati,Puducherry,Agartala,Ahmedabad,Aizawl,Mumbai,Kohima,Nagpur,Imphal,Rajkot,Shillong,Panaji and Gangtok. Tentative date of written test-05.03.2017 Sunday. Quallification-Second Class Master’s Degree with 55% marks in Ancient Indian History, culture and Archaeology + Post Graduate Diploma in Archaeology + Seven years practical experience + Hindi/Sanskrit upto Martic. Qualification-M.Sc. with 1st Division in Chemistry/ Toxicology/Bio-Chemistry/Forensic Science + Three years research/analytical experience + Hindi/Sanskrit upto Matric. Qualification-M.Sc. with 1st Division in Chemistry/Forensic Science + Three years research/analytical experience + Hindi/Sanskrit upto Matric. Pay Scale : Rs.5910-20200 + Grade Pay Rs.2400/-. Age as on 21.12.2016 : General 18-35 Years.Relaxation as per rules. Qualification : Passed Matriculation Examination with Punjabi/Hindi as one of the subject.Having a valid licence for L.T.V.Minimum two years experience of car driving.Candidates have not been convicted of any offence for negligent driving. How to apply - Apply on prescribed format of application.Format available at High Court of Punjab and Haryana official website.Other mode of application will be rejected. Age-40 years.Qualification-Master's Degree in Economics with Statistics or Master's Degree in Commerce.Experience-Five years experience. Qualification-Post graduate degree in economics or Applied Economics or Business Economics or Econometrics. Qualification-B.E./B.Tech./M.Tech. (Computer Science/IT/Electronics & Communication) MCA with MBA with First Division.16 years experience in software development OR Minimum 5 years experience as Deputy General Manager in the scale of 12000-16500. Qualification-10+2 with minimum two years course in multimedia/web designing or Graduation with six months full time certificate course in multimedia /web designing or Bachelor of Fine Arts.Four years experience in related field. Qualification-B.E./B.Tech./M.Tech. (Computer Science/IT/Electronics & Communication) OR MCA in first division.Four years experience in related field. Event/Game wise vacancies-Archery-09 Posts,Aquatic (Swimming and Water Polo)-20 PostsAtheletic-56 Posts,Basketball-13 Posts,Boxing-14 Posts,Football-16 Posts,Gymnastics-08 Posts,Handball-12 Posts,Hockey-18 Posts,Judo-13 Posts,Kabaddi-14 Posts,National Style-26 Posts,Shooting-08 Posts,Taekwondo-11 Posts,Volleyball-10 Posts,Water Sports (Rowing,kayaking & Canoeing)-10 Posts,Weightlifting-10 Posts,Wrestling (Free Style & Greco Roman)-22 Posts,Wushu-07 Posts and Yoga-02 Posts. Central Board of Secondary Education (CBSE) has been declared the result of CBSE National Eligibility Test (NET) and Junior Research Fellowship (JRF) exam.Now candidates can check their result by entering their Roll no./Admit Card no.Candidates had been waiting their result for a long time.Now qualifed candidates feel happy.They get various chance for their job as Assistant Professor in College/University or Research programmes.It is notable that this exam was held on 10.07.2016 at various exam centres in India.Online applications was invited from 12.04.2016 and the last date for application was 12.05.2016.As per notification the examination was held on Sunday 10.07.2016 at various exam centres in India. Qualification-Senior Secondary with 50% marks and two years Diploma in Elementary Education OR Senior Secondary with 50% marks and Four years Bachelor of Elementary Education OR Senior Secondary with 50% marks and two years Diploma in Elementary Education.Qualified CTET conducted by CBSE.Passed Hindi or English at Matric level. Age- 18 to 30 years.Relaxation-Age relaxation as per rules. Age- 18 to 25 years.Relaxation-Age relaxation as per rules. QualificationGraduation and Experience of three years. Jobs underHaryana State Warehousing Corporation. Qualification-M.Sc. (Agriculture) in Plant Breeding/Agronomy/Horticulture (Veg)/Seed Technology. Preference will be given to experienced persons. Last date of application-22.11.2016.Applications received after due date will not be accepted. Application from-The application for these posts can be download from the website of Haryana State Seed Certification Agency.Selected candidates shall not had any right for regularization. Date of interview-28.11.2016 at 11:00 AM. Venue of interview -Haryana State Seed Certification Agency, Bays No.11-12, Sector-14, Beej Parmanikaran Bhawan, Panchkula. Age limit as on the date of interview-25 to 42 years. Pay Scale-Pay Band- 2 Rs. 10300-34800 +Grade Pay Rs. 3200 + other allowances as admissible under Govt. instructions/rules. Pension- The selected candidates will be included under ‘Defined Contributory Pension Scheme of the State Govt. (For Ahemdabad-30,Banglore-35,Bhopal-40,Bhubaneswar-20,Chandigarh-38,Chennai-25,Guwahati-27,Hyderabad-31,Jaipur-20,Jammu-10,Kanpur and Lucknow-52,Kolkata-35,Thiruvananthapuram & Kochi-30,Mumbai-150,Nagpur-20,New Delhi-25,Patna-22 Posts.Total-610 Posts. Pay Scale-13150-750 (3)-15400- 900(4) -19000-1200(6)-26200-1300 (2)-28800- 1480(3) – 33240 – 1750 (1)- 34990 (20 years) and other allowances.Approximately 32124/-per month. Qualification for Assistant as on 07.11.2016-Bachelor Degree in any discipline with minimum 50% marks.Pass marks for SC/ST/PWD candidates. Application Fee-for General/OBC-450,For SC/ST 50/-. Age as on 07.11.2016-20 to 28 years.Relaxation as per govt.rules. How to apply-Apply online at RBI website.No other mode for submission of application is available. Central Teacher Eligibility Test Unit,PS 1-2, Insititutional Area, I P Extension, Patparganj, Delhi-110092. Qualification-Graduation in any stream and having a speed of 100/20 words per minute in English Shorthand/Typewriting and 80/15 words per minute in Hindi Shorthand/typewriting. Qualification-Passed Middle examination and possessing knowledge of Hindi. The number of vacancies may be increased/decreased and withdrawn without given any notice.The selected candidate will be appointed at Mediation and Conciliation Centre, Narnaul.Age-18 to 42 years. 10+2 with at least 50% marks + Diploma in Vocational Rehabilitation-Mental Retardation (DVR-MR)/ Diploma in Vocational Training and Employment-Mental Retardation (DVTE-MR) with 6 months Certificate course/Two Years D.Ed. Special Education in Mental Retardation/ One year Diploma in Special Education (DSE-MR) with minimum 50% marks. For SC-364 and for ST-77 Posts. 10% vacancies are reserved for ESM candidates. Age as on 19.11.2016 : 21-27 Years.Relaxation as per govt.rules.These vacancies may increase or decrease with out any notice. Reservation for Schedule Caste/Schedule Tribe/Other Backward Class (OBC) categories will remain as per Government Orders and as communicated by Ministry of Home Affairs. Pay Scale : Pay Band – 1 Rs.5200-20200 + Rs.2000/- Grade Pay plus + other allowances from time to time. Educational Qualification-Passed Matriculation or equivalent qualification from any recognized Board +Having a valid driving licence for Light Motor Vehicle/Heavy Motor Vehicle or Transport Vehicle/Motor cycle with gear. Reservation of posts-Only male Indian citizens are eligible for these posts.The recruitment will be conducted on All India basis. For SC-01,ST-00,OBC-02 and for UR-02 Posts.Age-23 to 35 Years. For SC-00,ST-00,OBC-01 and for UR-02 Posts.Age-23 to 35 Years. For SC-01,ST-00,OBC-02 and for UR-01 Post.Age-23 to 35 Years. For SC-02,ST-00,OBC-00 and for UR-00 Post.Age-23 to 35 Years. Total 19 Posts. Relaxation in age-As per Govt. rules.